Happy 2019! 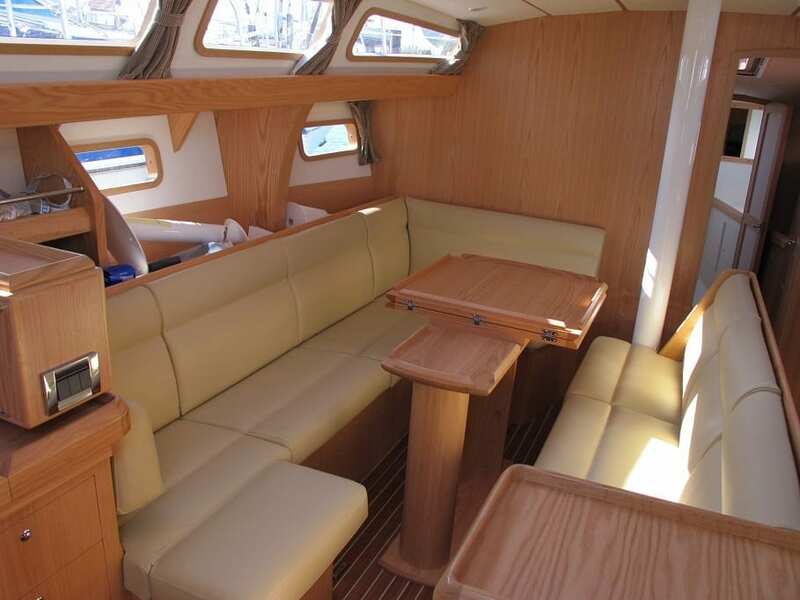 Now is the time to start planning for the sailing season so take a look at our brokerage boats. 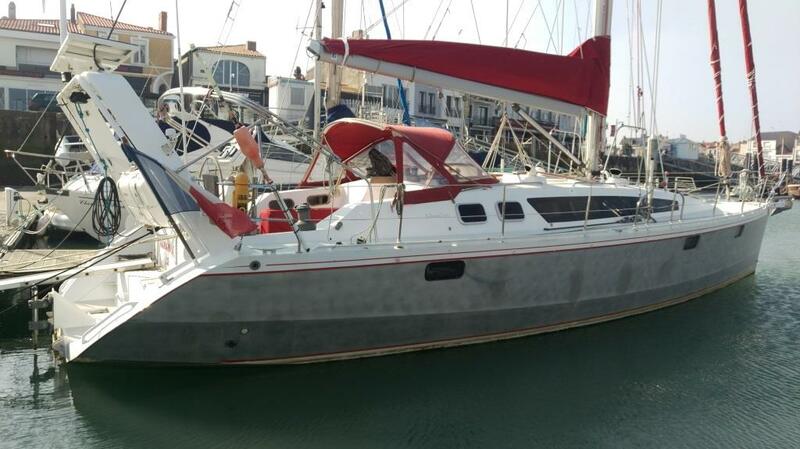 We are still actively looking for more yachts to list as we’re moving them quickly so contact us if you would like us to sell your yacht or if you see something that takes your eye enquire now. For those where we act as sole brokers (and since we feel we give the best service as sole brokers that’s most of them) we offer ‘Condition Reports’, verbal, written and accompanied by lots of photographs and/or videos. 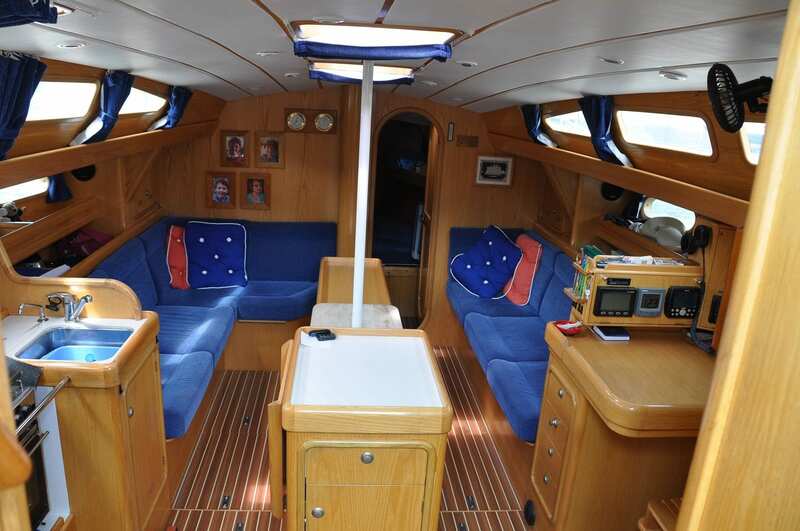 Whilst not replacing a survey the aim is to use our expert knowledge of the boats we sell as new boats to inform potential buyers about the boats we’re selling ‘pre-loved’ to help buyers identify exactly what we’re offering and save the wasted journeys characteristic of looking at brokerage boats. 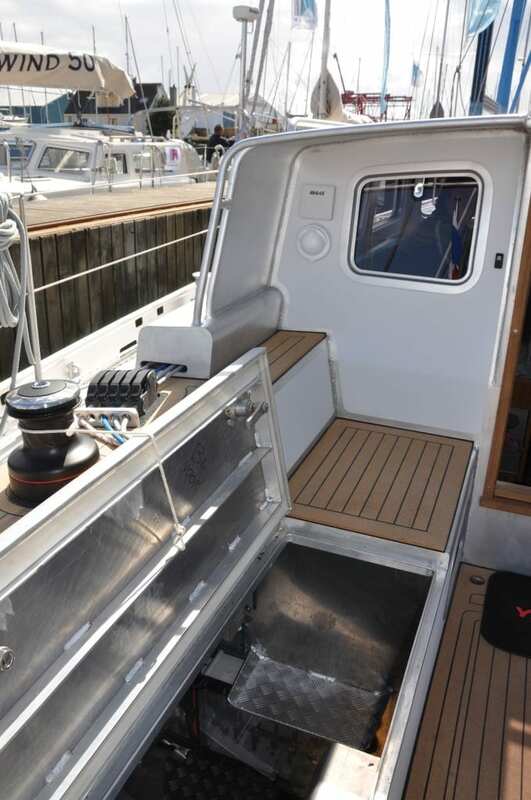 After more than 15 years working with aluminium yachts we want to give the benefit of our experience not just to new boat buyers but also to those looking at secondhand yachts. 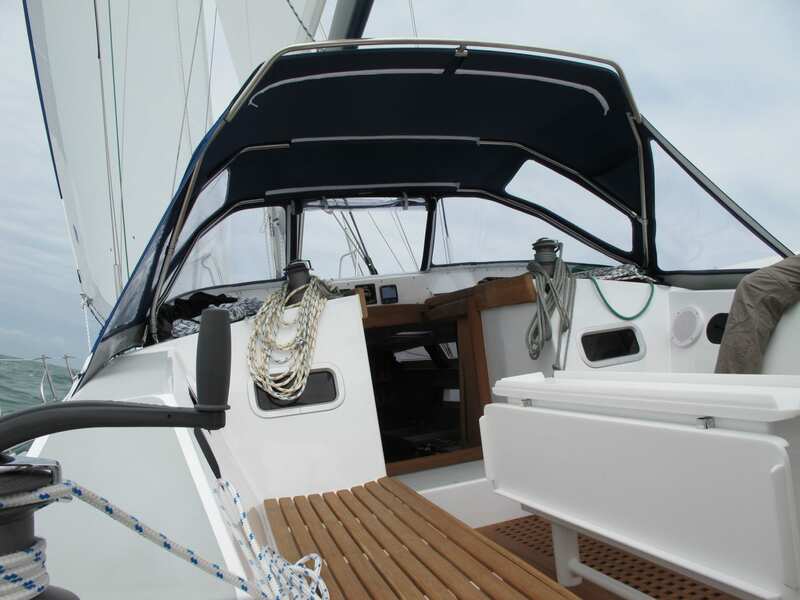 We are acknowledged to be the UK experts on aluminium yachts. 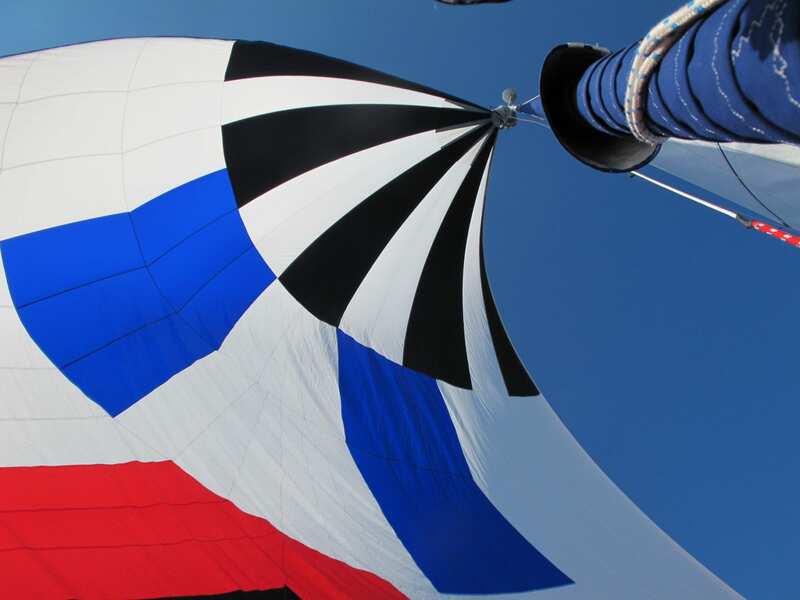 As members of the British Marine Federation and the British Marine Boat Retailers and Brokers Association, we operate within strict industry guidelines, brokering a sale between a seller and buyer and providing the ongoing support to the buyers that is not always available with a non-specialist broker. 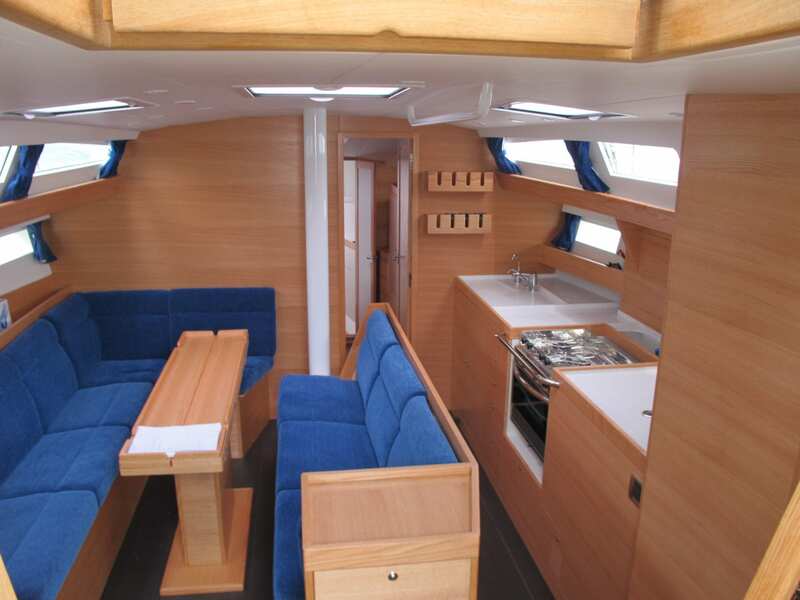 Below are brief details of the yachts we are listing. Please contact us for the full specifications. 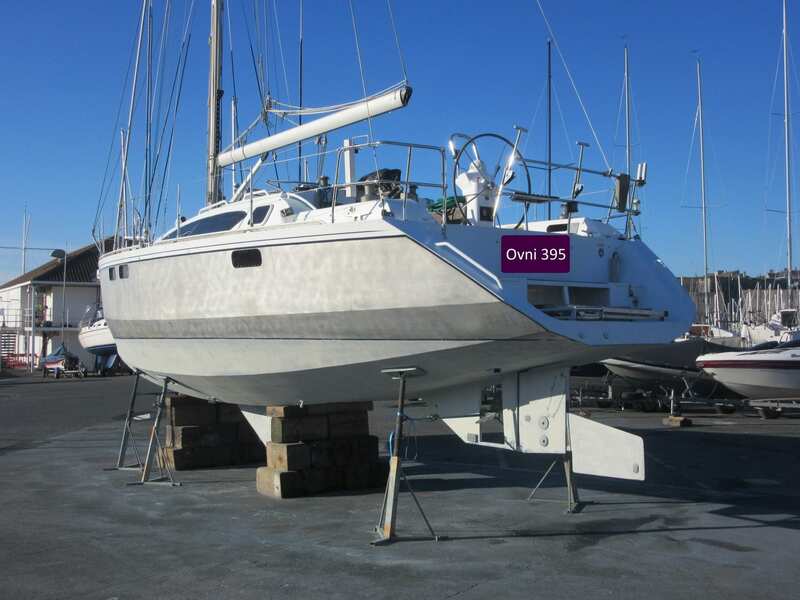 A rare opportunity to purchase a recent Ovni 445. 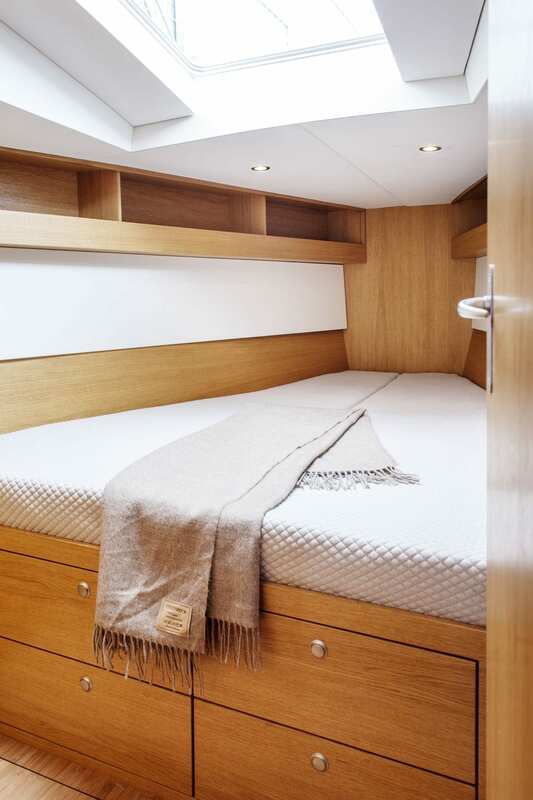 Three cabins, two heads and a separate shower, flexible layout sleeps 7 in the cabins. 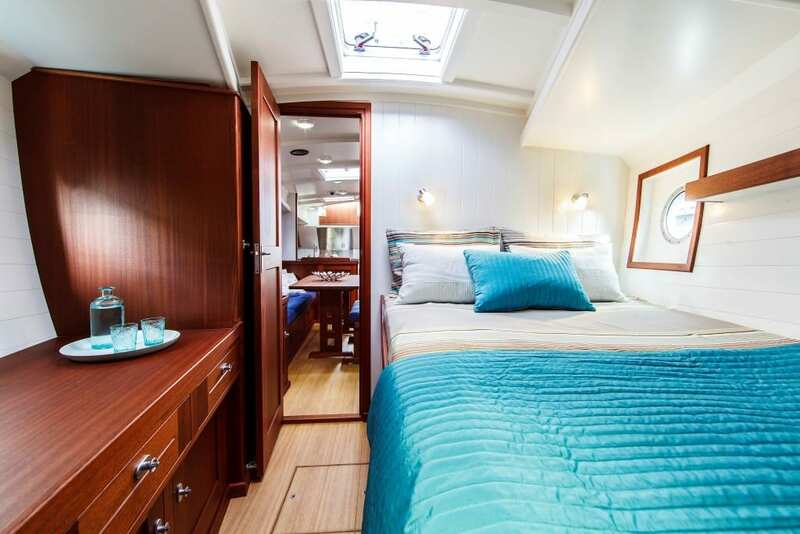 Extensive equipment list – generator, watermaker, Hyrovane, full cockpit tent, asymmetric to accompany mainsail, genoa and staysail, Raymarine instrument set, Eberspacher heating – just a few highlights to whet your appetite. 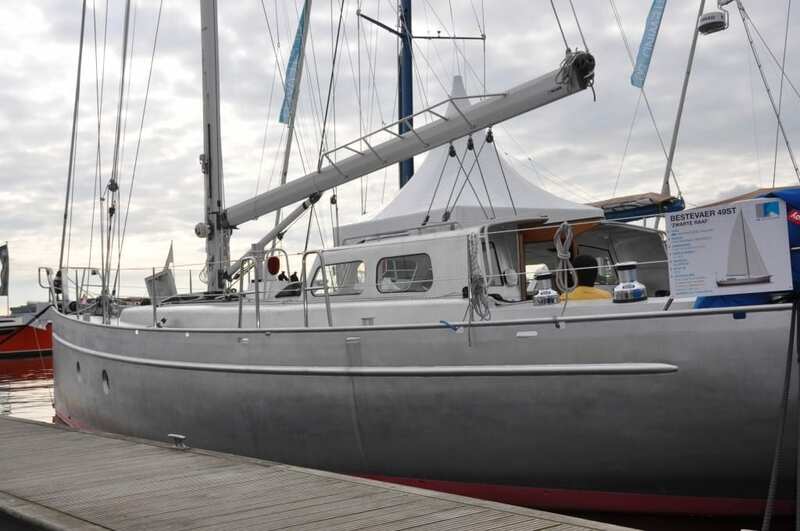 You may have seen this boat exhibited at Southampton Boatshow – now’s your chance to own her. Contact us for the full specification and more photographs. 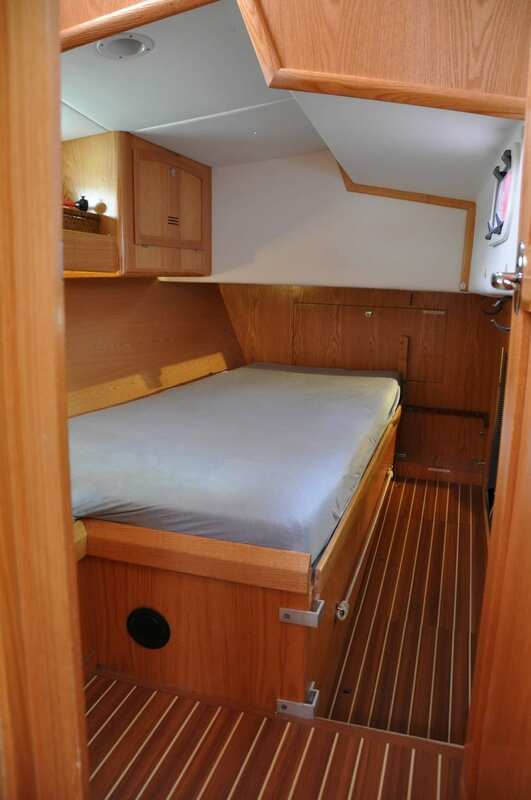 A beautifully maintained two cabin, two heads version of the popular Ovni 395 which can sleep 7. 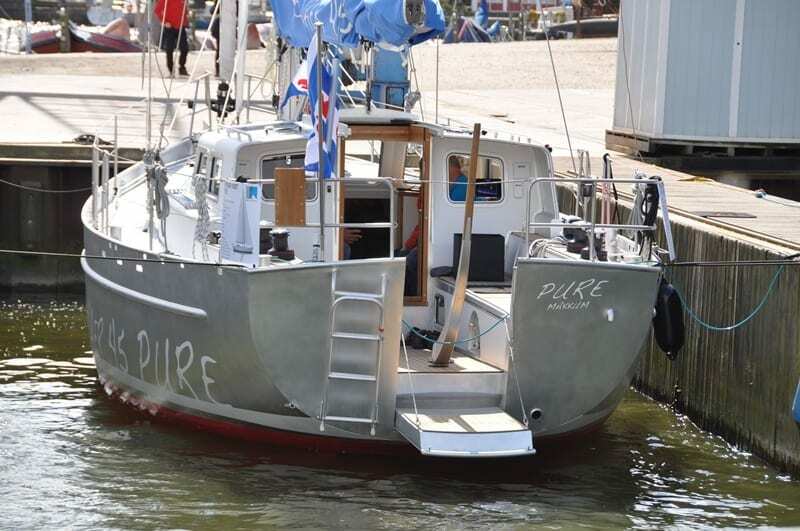 Launched in 2005 after being displayed at the London boatshow in January 2005 . 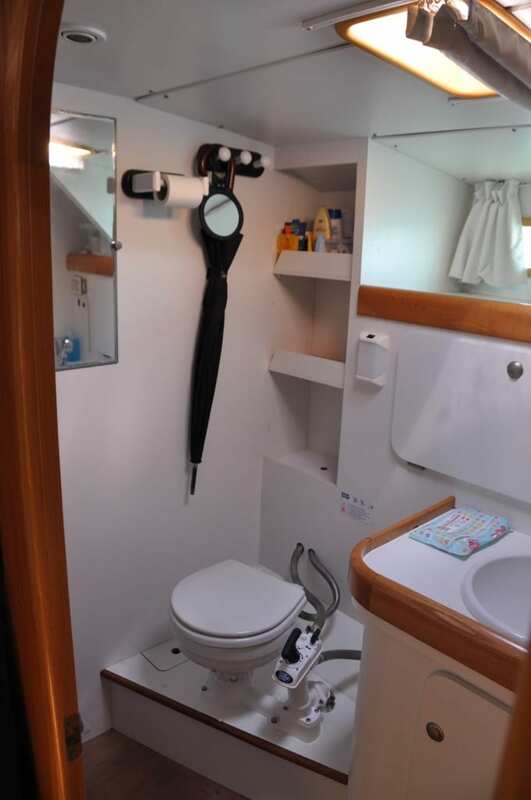 Well equipped for cruising with an extensive navigation kit, cruising chute, safety equipment, many features to make life aboard more comfortable including heating (for those heading to colder climes) and insulation. 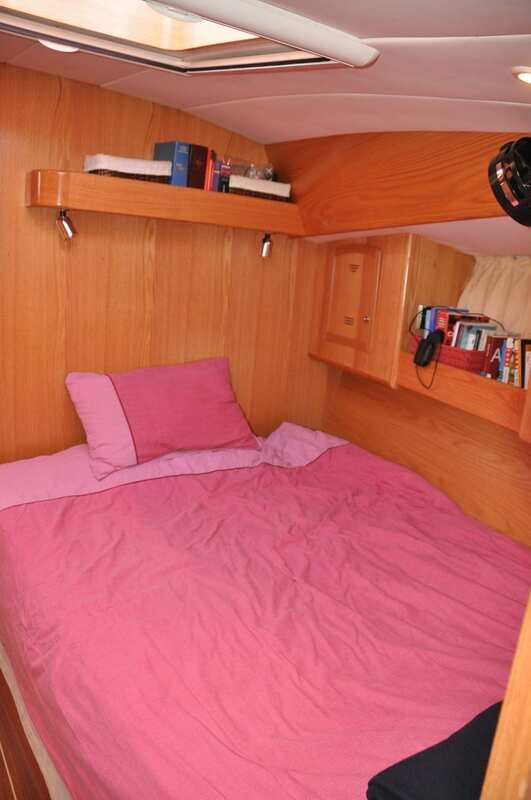 Ovni aficionados will spot that, like every Ovni, she was indeed built to her owner’s exacting requirements. 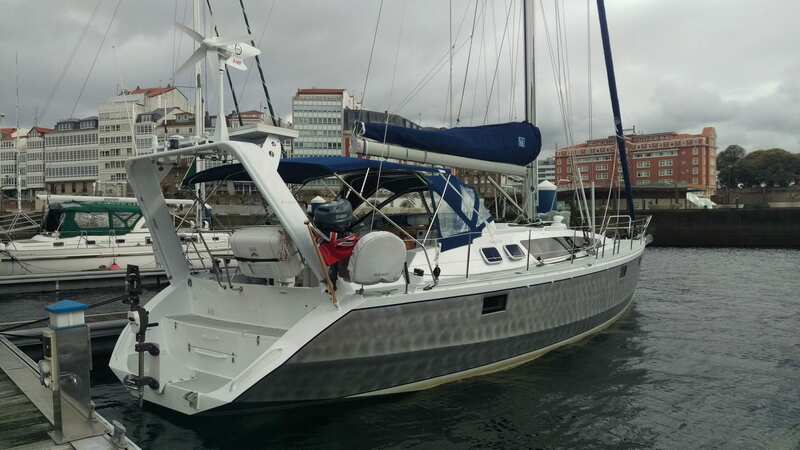 A yard maintained and fully equipped Ovni 445, ready for bluewater cruising – a very full wardrobe of sails, Hydrovane self steering, wind generator, solar panels, generator, watermaker, isolation transformer, fully insulated – it’s a long list. 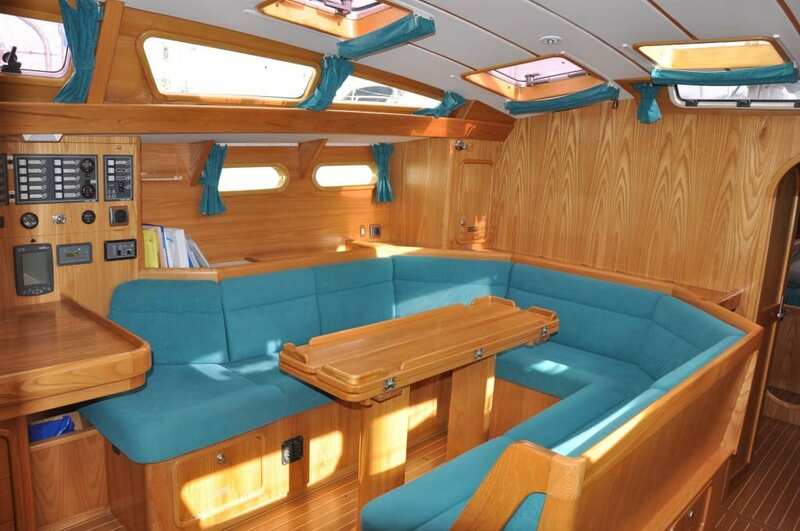 She is a three cabin, two heads version in excellent condition and ready to go. Contact us if you would like to know more. 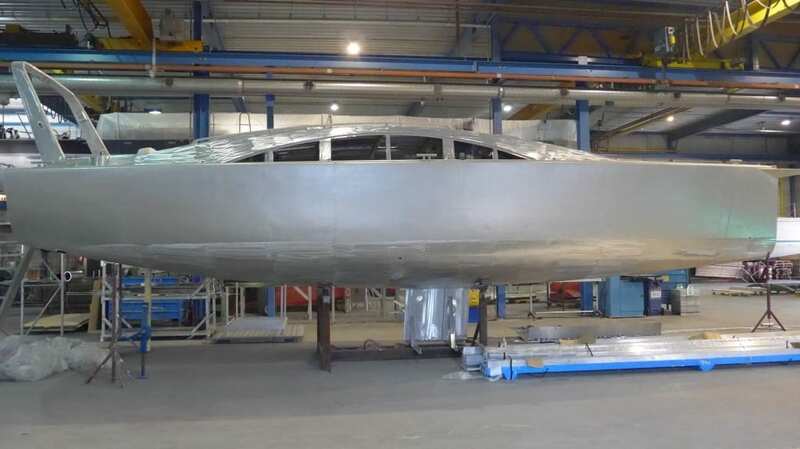 The first Bestevaer 45ST PURE is now for sale – her demonstration duties are coming to an end with a number of this model in production. 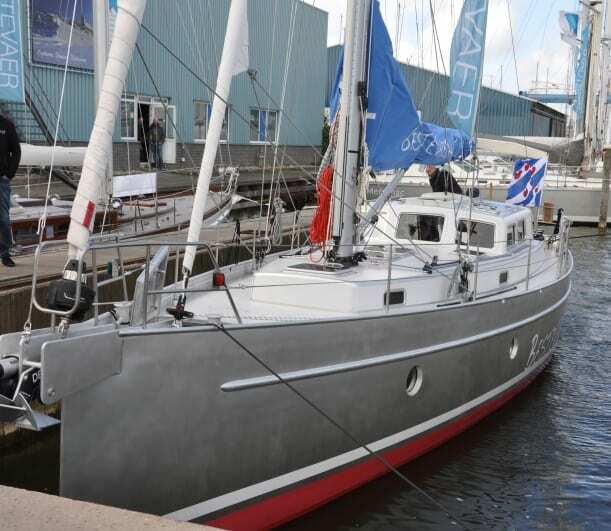 This is the boat that we exhibited at Southampton boatshow 2016. 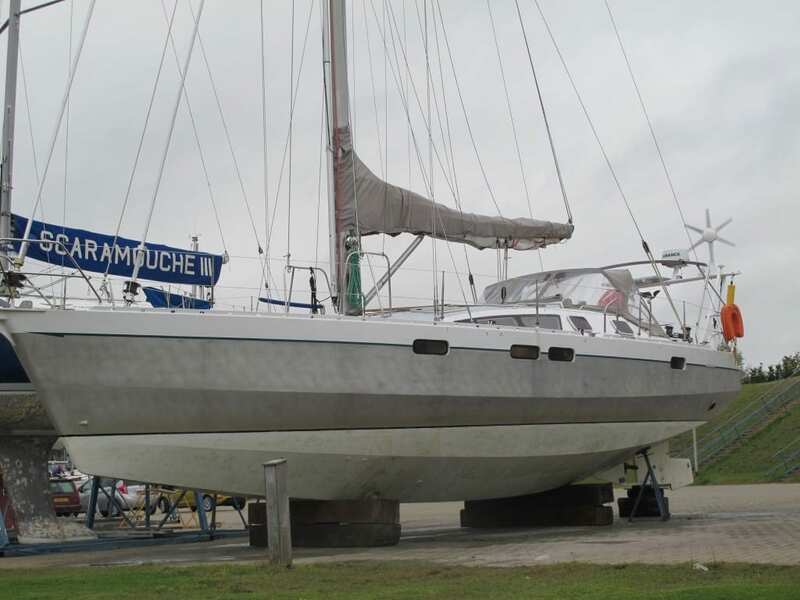 Well equipped and representing a substantial saving over new boat price, this yacht is ready to go or to be adapted to her new owners. 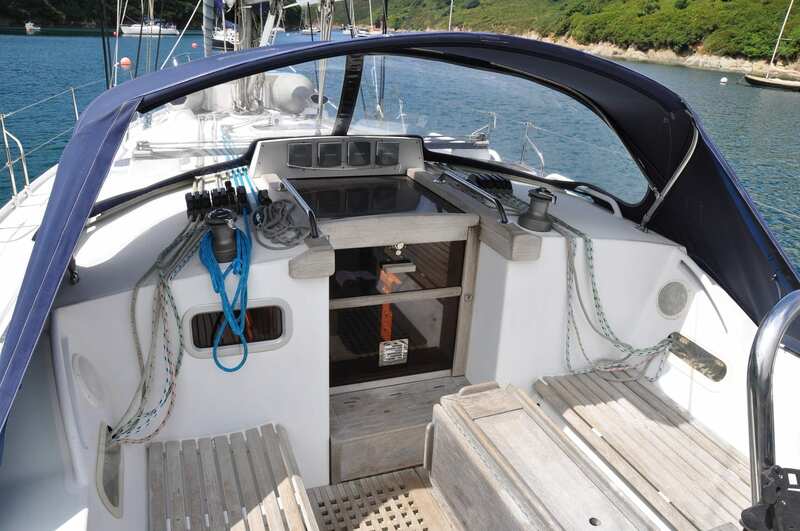 Recently reviewed in Yachting Monthly then with a follow-up article on how to master box moorings – let us know if you would like to see a copy of either article. 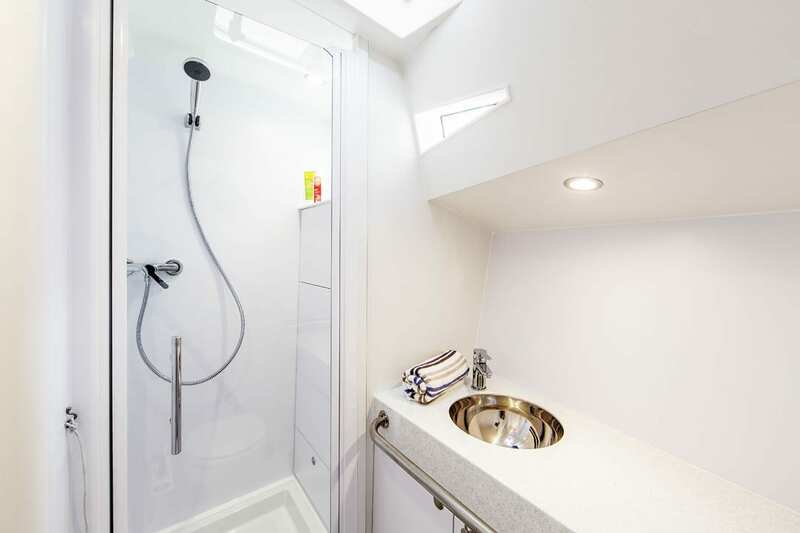 Contact us for the full specification and more photographs. 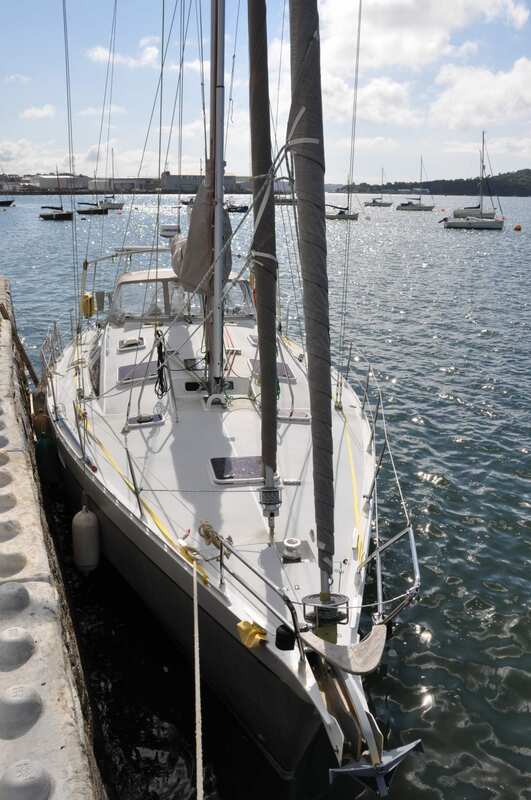 We have personally inspected this yacht and will be happy to report on her condition to prospective purchasers, which as you would expect from a nearly new demonstrator, is excellent!. 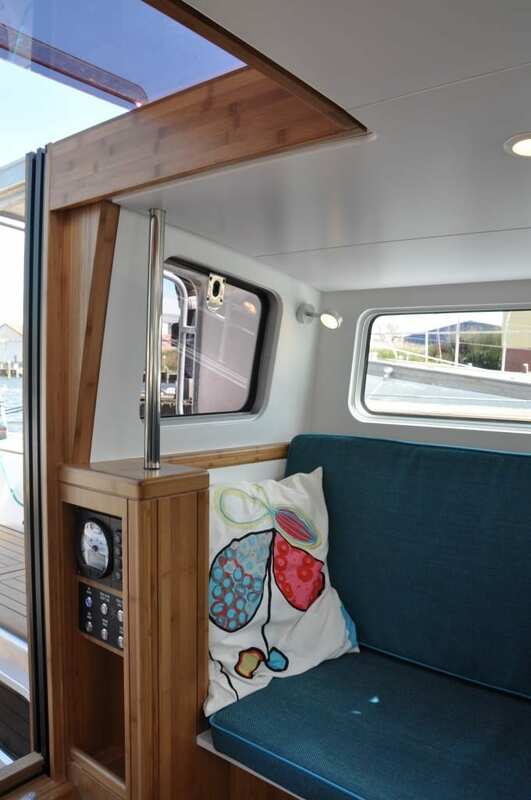 A rare opportunity to purchase this 2014 example of the next size up in the Bestevaer model range, the 49ST. 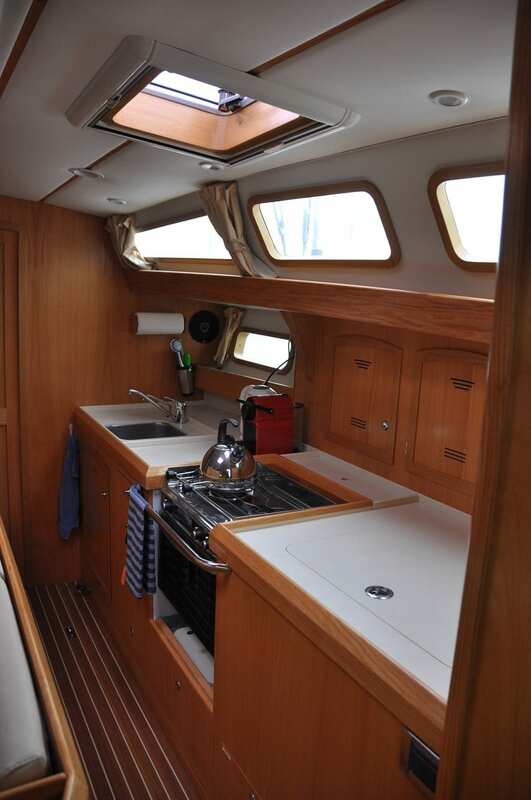 This is however a custom boat, unlike the Pure 45ST, and this one reflects her owners requirements. 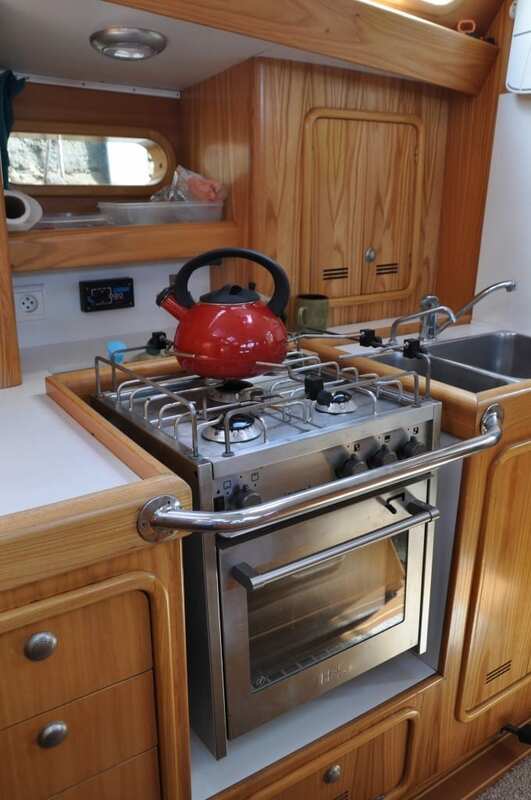 Internally she has the classic Bestevaer mahogany and white panelling styling with an oak floor, plush blue upholstery and that feature of many of the Bestevaers – a diesel drip Dickinson heater. 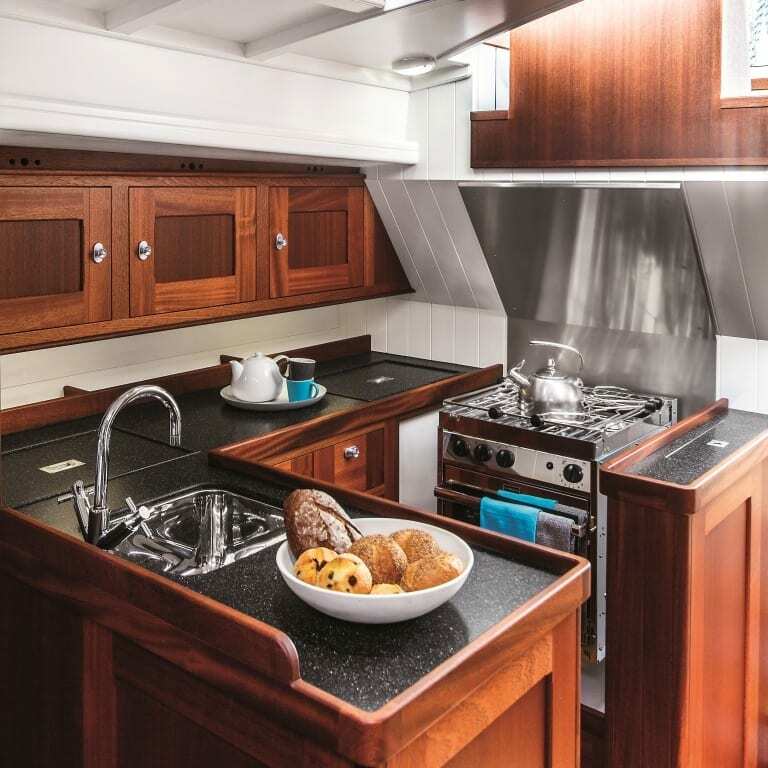 A six berth boat with two distinct double cabins and 2 saloon berths, a ‘semi- closed U shaped’ galley and that sought after highlight of the range, the pilot house. 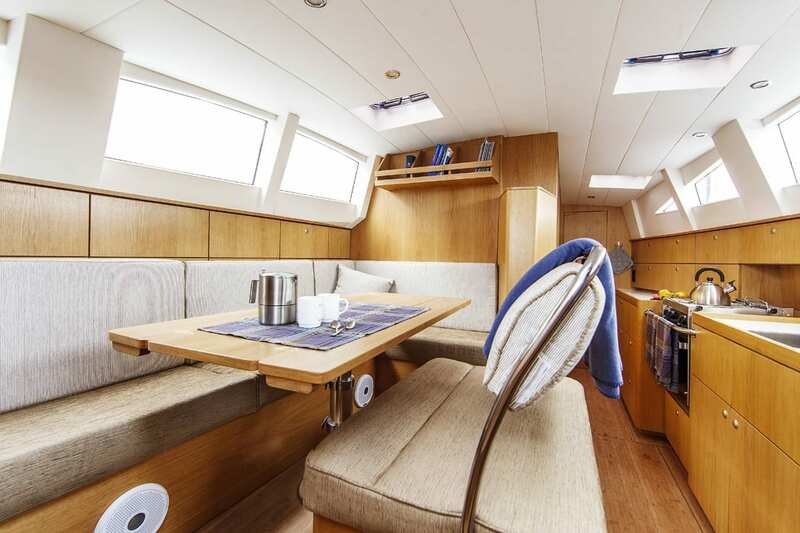 Externally is where she differs from others with her bare unpainted aluminium hull and deck, broken up only by the non-slip on deck. 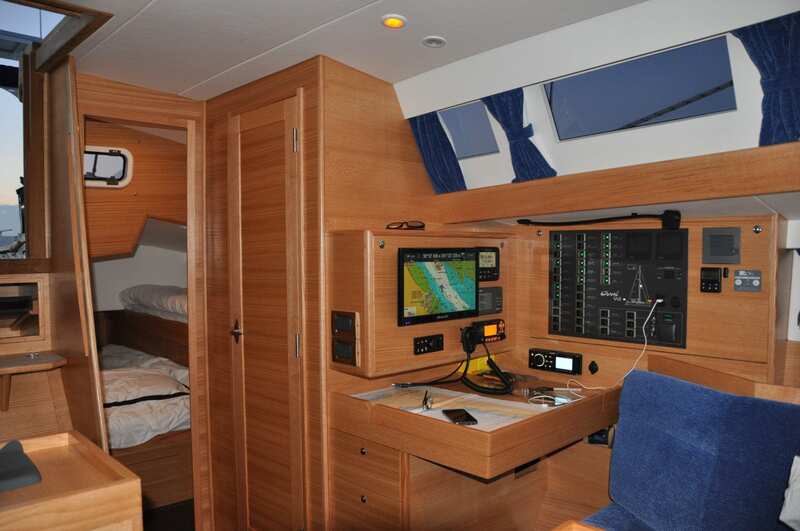 She is cutter rigged, fixed keel and well equipped with navigation and safety equipment. 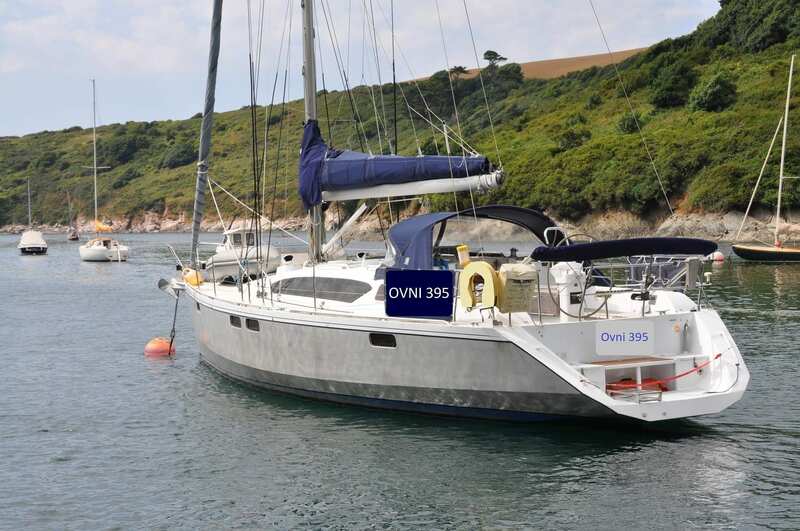 Although technically an older example of the popular Ovni 435 she is in excellent condition. 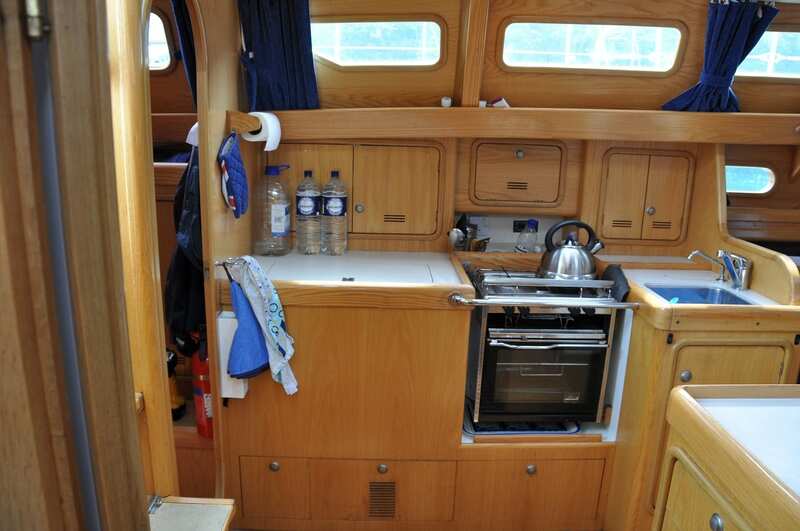 Good paintwork, insulated, equipped for global sailing with new high spec sails, rigging, Hydrovane self steering, cruising chute, heating, retractable bowthruster and GN Espace cooker for the wannabee Masterchef ….. it’s a long list as always. 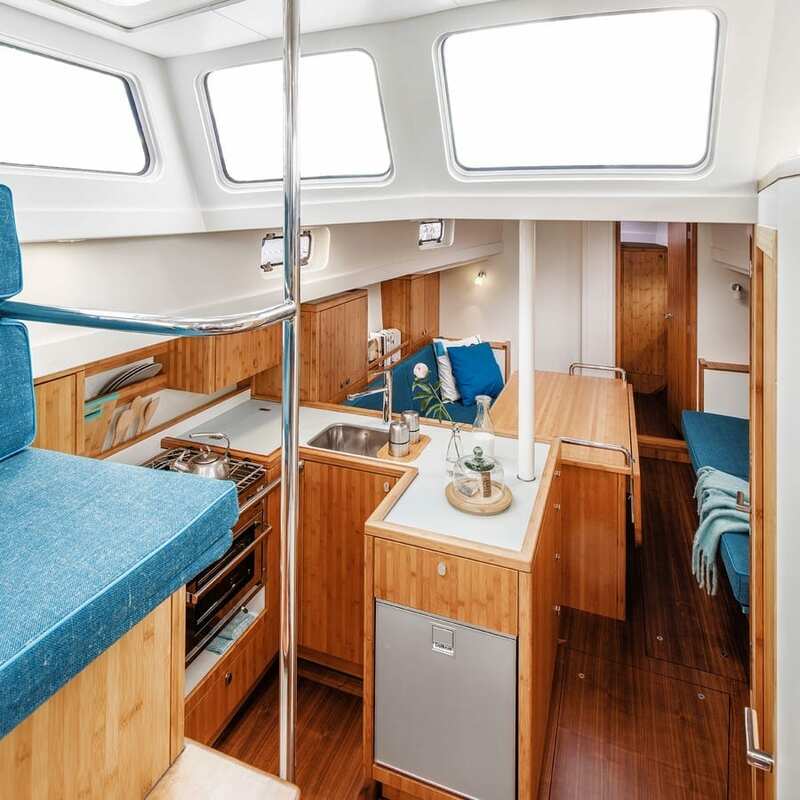 A slightly different layout, the owner’s suite forward has a v-berth, ensuite heads and dressing/storage area that also offers a sea berth. 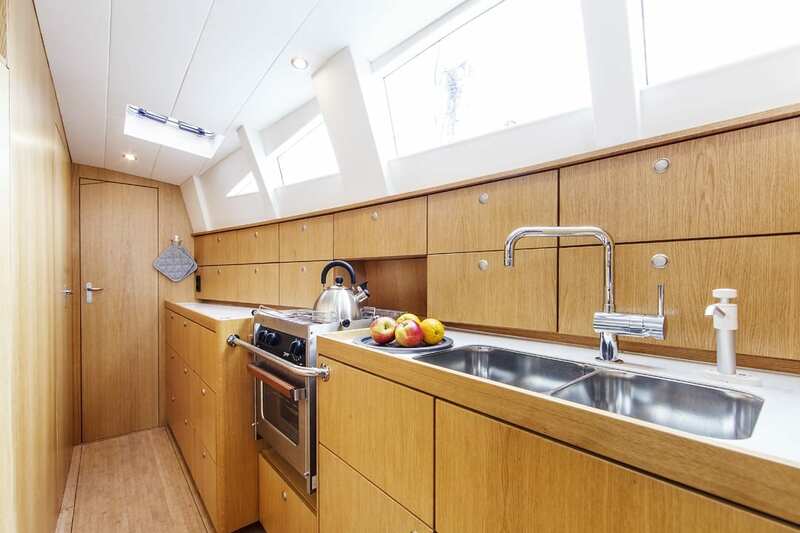 Built by KM Yachts this is a fully ready to complete hull and deck – something for the self builder to get stuck into or KM Yachts are happy to quote for a full fit out. 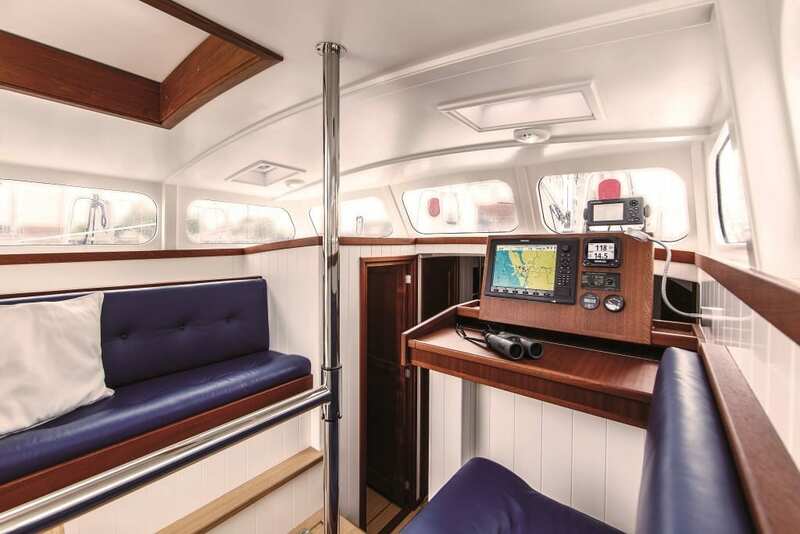 KM Yachts have built several of this model, formerly known as the German 39C designed by Berckemeyer Yacht Design. She’s a lifting keel too. An excellent opportunity for the homebuilder or ask KMY to complete her to your specification. 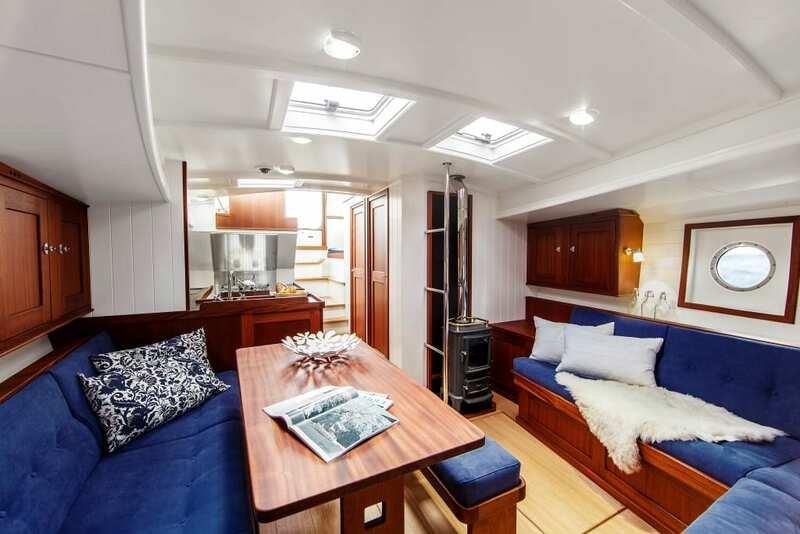 The interior photographs shown are of a sister ship fitted out by KM Yachtbuilders – ask us for the full quote.